I’ve been keeping a close eye on Neill Blomkamp and I’ve only just found this four year old short made back in 2010. 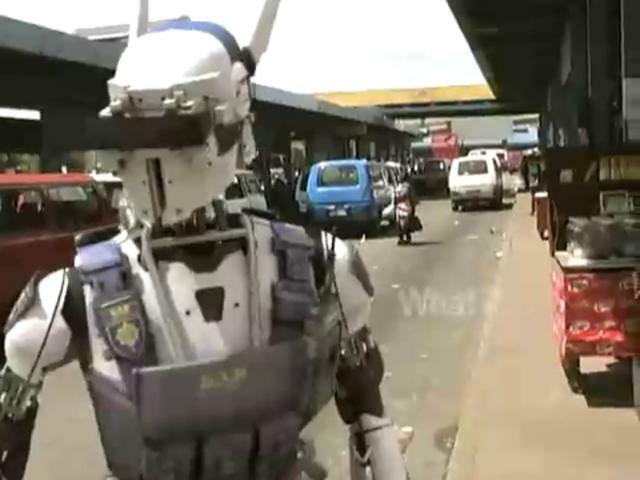 Mimicking a corporate promotional film, it shows the ‘future in law enforcement’ on the streets of a South African city. The flawlessly executed CGI we were wowed by in ‘Distict 9’ (and to a lesser extent in ‘Elysium’) is right here – the future is here, unassuming and integrated. It’s a little terrifying, very political and really cool. Similar to ‘Alive in Joburg’, it’s also slated for a full-feature length adaptation as Chappie in early 2015.